Meghan, Duchess of Sussex and Prince Harry, Duke of Sussex depart the Commonwealth Service at Westminster Abbey on March 11, 2019 in London, England. When the Duke and Duchess of Sussex welcome their first child later this month, don’t expect the traditional photo-op on the hospital steps of St. Mary’s, where Kate Middleton gave birth to all three of her children in the hospital’s private Lindo Wing. In fact, People reports that in yet another break with royal tradition, Meghan Markle and Prince Harry may not even have a hospital birth. 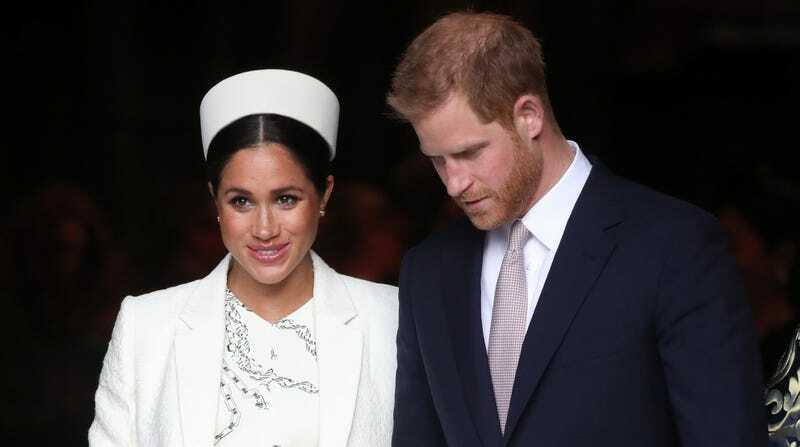 As several outlets have speculated, the couple may opt for a home birth at their newly renovated home in Windsor, Frogmore Cottage, approximately 25 miles away from St. Mary’s. The Duke and Duchess of Sussex are very grateful for the goodwill they have received from people throughout the United Kingdom and around the world as they prepare to welcome their baby. Their Royal Highnesses have taken a personal decision to keep the plans around the arrival of their baby private. The Duke and Duchess look forward to sharing the exciting news with everyone once they have had an opportunity to celebrate privately as a new family. However, avid royal watchers can expect a social media announcement when Markle is in labor, via the newly launched Sussex Royal Instagram account. This move toward a more private delivery should come as no surprise to those who follow the duke and duchess. While public figures they have, in many ways, departed from conventional expectations of the royal family, whether it be keeping with the very American tradition of a big baby shower or having more of a tendency toward public affection than other royal couples. Both have been the subject of much scrutiny, which friend and collaborator Oprah addressed while appearing on CBS This Morning on Wednesday. Oprah, who attended the royals’ nuptials last May, joined bestie Gayle King and co-hosts to discuss her latest book, The Path Made Clear: Discovering Your Life’s Direction and Purpose. But first, King asked O’s opinion on what has often seemed like relentless criticism of Markle. And in keeping with her decision to keep some aspects of her royal life private, Oprah, who is partnering with Prince Harry on an Apple TV+ docuseries about mental health, says Markle guards her own by steering clear of press reports. Sussex Royal Watch Goes Live: Meghan and Harry Are Now on the &apos;Gram!